Your subconscious acts like your own personal genie –advocating for the deepest desires of your heart while also protecting you from danger. To do this, it remains ever aware of the shifting contexts of your daily life, bringing forward the best behavior available and relevant to that context, to keep you safe. Then, it signals your body to engage either the stress response, moving you away from discomfort and danger, or engage the relaxation response, moving you toward comfort or pleasure. And it does this quicker than you can even consciously think about it because it’s the same mechanism that controls the beating of your heart and the filtering of your kidneys. If you had to consciously think about these things, you would be dead. The foundation for the subconscious’ ability to pull this off begins in the womb. From a very early age, the subconscious begins storing data of everything that happens to you – allowing you to create a causal map of the world (when I do this, that happens; when I feel this, I can do that.) The map is imprinted with the assistance of all the available senses — sight, smell, noise, touch and bodily sensations to make sure the data is as accurate as possible. This means that the subconscious is “programmed” from an early age by what our parents, teachers and friends say and do; by the circumstances of our home life and by the activities we’re involved in. These events are the foundation for our beliefs and emotions, which hold in place filters for seeing the world – filters that the subconscious will later use to run certain behaviors when navigating the contexts of our lives. The result of these beliefs will also manifest in our environment – both internal as symptoms on our bodies and external as situations, circumstances and experiences. In responding to these filters, your subconscious genie does its best to solve a fundamental problem – keep you as safe as possible in every context with the best behavior available. But, it’s a bit misguided in its execution because it defaults to some of the oldest, most repeated patterns of behavior available – not necessarily the most empowered or functional. Quite simply, we use the hypnotic space to reprogram your subconscious response to these filters. We engage your deep subconscious mind and show it how it can see the world in a different way so that it doesn’t have to play out old patterns of behaviors on current situations. Then we teach it to release old filters, transform limiting beliefs and negative emotions, and embrace new positive and empowering behaviors. To start learning about hypnosis, know that hypnosis is a natural state, marked by deep relaxation, wherein the critical factor (conscious critical mind) is bi-passed, communication with the subconscious is established, and selective attention is utilized to deliver positive and empowering images, affirmations and visualizations for your highest good. While many myths and misconceptions about hypnosis persist, the truth is hypnosis is safe, effective and the side effects can include happiness, joy, relief, peace and the freedom to finally live the life you were born to live. You have nothing to lose but pain, frustration, baggage and regrets. So what are you waiting for? Contact me and let me help you create Powerful Positive Change today! 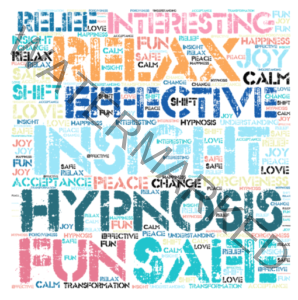 Read more about the Effectiveness of Hypnosis.